Cutting: A medium bodied Zinfandel with currant, raisin, blackberry, black cherry and pepper characteristics. 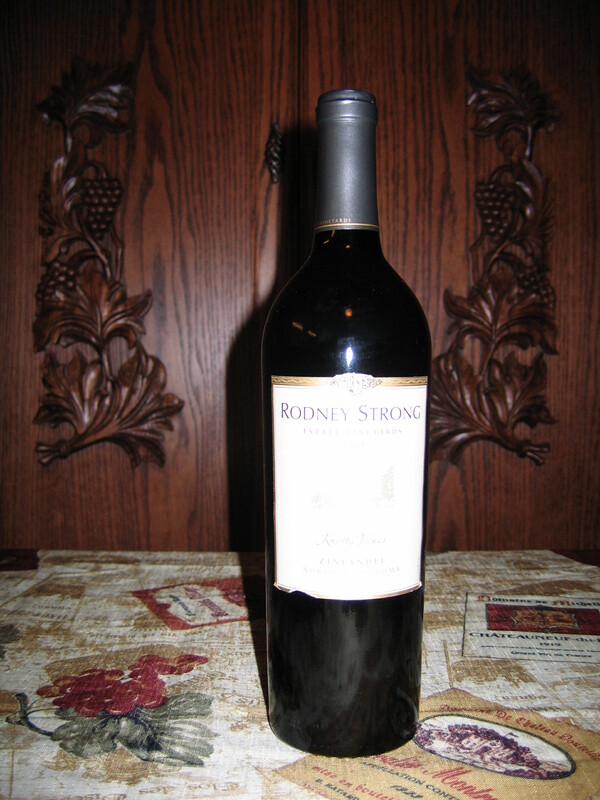 The Rodney Strong Knotty Vines Zinfandel from Northern Sonoma displays currant, raisin, blackberry, black cherry and pepper aromas. These characteristics show through on the palate where they are joined by spice and tobacco on the medium length finish. Some tasters observed herbal flavors as well. This is a good medium bodied Zinfandel that most Zinfanatics should enjoy.